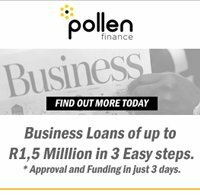 Welcome to the home page of Entrepreneur SA. My name is Jasper Basson, and on this website I will aim to provide potent ideas for being an entrepreneur. Concepts, methods, and information that served me well over the years. I have been an accountant in practice for mostly SME clients over the past almost two decades and want to use this mentioned experience to give back to the community. I am the founder and current CEO of Dryk Holdings, an accounting and tax practice, assisting SME clients with the monthly accounting services. Dryk Holdings was established in July 2006. I am also the co-founder and financial director of Lead Optimizers, founded in 2012. A company that assists the business owner with niche market business leads. We are very proud of our Lead to Sales ratio of up to 30%, something unheard of in the industry of lead generation. With over 40 niche market websites, we are providing a variety of companies with real-time business leads daily. During 2018, I started a process of interviewing inspiring entrepreneurs, celebrities and professional athletes about their morning rituals and daily habits. All these interviews and more relevant content for entrepreneurs can be view on the YouTube channel: Jasper Basson – Accounting – Tax – Habits. I have started the interviews to give back to my clients and followers at Dryk Holdings and Lead Optimizers, but the value received for my self was so tremendous. During 2018 I interviewed 23 entrepreneurs and celebrities, and if every one of us take one simple idea from each person, we will end up with 23 new ideas. As entrepreneurs, we need to be a constant student of new material and information. We see the world, not as it is, but as we are. If we do not challenge our thinking constantly, we cannot change for the better. I believe we can all feed from each other. My latest project is a 21 – online course in morning rituals and daily habits, where I guide participants the importance of daily early morning rising. We win our day and life, by owning our morning. Many of us have great new year’s resolutions every year but don’t follow through. The answer is really simple … we did not understand that we need to go through the process of forming new daily habits. These habits have various stages, and once we understand and realize this, we will be able to pull through and make our new year’s resolution a reality. It helps when you have a daily and monthly mentor or coach to guide you through this process. In my private life I have been in martial arts all my life. For the last 5 years I have been a kickboxing instructor, which taught me a lot of being a mental coach to many students. Most battles, in sport and in entrepreneurship, are won by being mentally strong. Please use this website with information to your benefit as entrepreneur, and feel free to contact me with any questions.